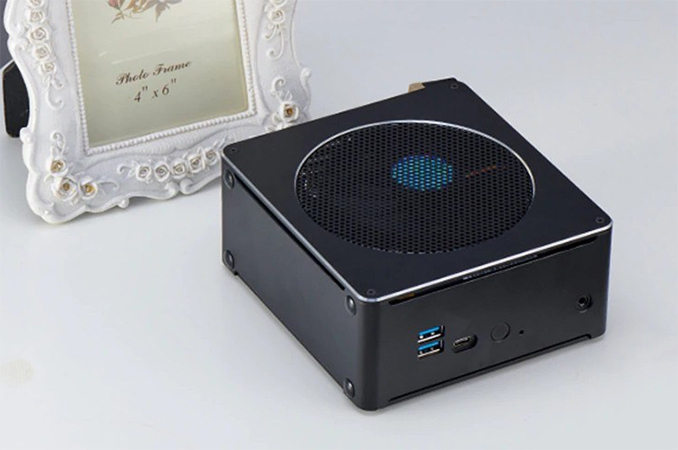 EGlobal, a PC maker from China, has started sales of its ultra-compact form-factor (UCFF) S200 PC. 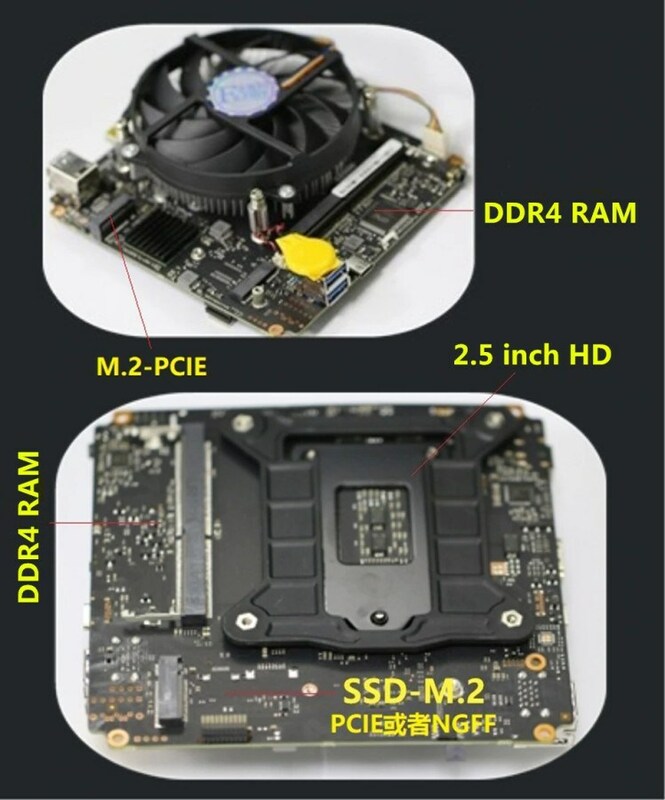 Uncommon for UCFF PCs, EGlobal's latest machines are based around Intel’s 45W laptop parts rather than their 65W+ desktop parts, somewhat limiting the vendor's chip options, but giving them more flexibility in terms of design. 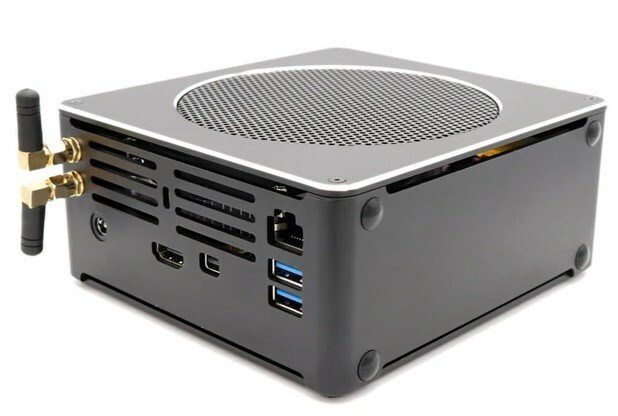 Case in point, the EGlobal S200s are only slightly larger than Intel’s own NUCs, but with the high-end Core i7-8750HK or Intel Xeon E-2176M inside they can offer considerably higher levels of performance. When Intel introduced its first NUC UCFF computers in 2013, it not only entered the market of PCs with own-brand products, but it demonstrated its partners among makers of desktops that UCFF PCs were not only feasible from technology point of view, but also popular among end users. Since then, Intel has been releasing new versions of its NUCs, whereas its partners have been trying to refine their own UCFF PC products in an attempt to offer something unique. EGlobal is among companies that have managed to develop something unique: the S200 system measures 5.6 × 5.3 × 2.5 inches, yet it packs a rather powerful processor. The EGlobal S200 is based on Intel’s Coffee Lake-H mobile CPUs, with the manufacturer offering the Core i5-8300H, Core i7-8750HK, or Xeon E-2176M as options. The system also has two SO-DIMM slots for DDR4 memory (thus supporting up to 32 GB), an M.2 PCIe 3.0 x4 slot for an SSD, as well as a 2.5-inch bay for a SATA storage device. 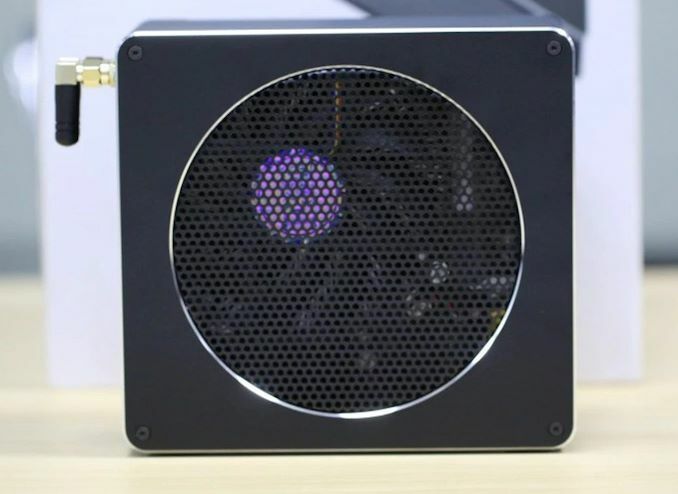 The CPU is cooled using a rather simplistic air cooling system featuring an aluminum radiator, which should be plenty for stock performance, but it remains to be seen whether it would be enough for overclocking of the unlocked Core i7-8750HK. When it comes to connectivity, the S200 has an 802.11ac + Bluetooth Wi-Fi controller, a GbE port, four USB 3.0 Type-A ports, a USB Type-C port, and two display outputs (a mini DisplayPort and an HDMI port). Notably, there isn't any Thunderbolt support here, so expandability options are limited to USB, and this would rule out using an eGFX chassis with the PC. Various versions of EGlobal’s S200 are available at AliExpress, with prices ranging from $327 to $1058 depending on configuration. Just a pity there is no Thunderbolt. maybe cause its either too expensive to add.. or TB devices them selves .. are just too expensive ?? Exactly what i was trying to work out from the press release. On-die attached to ADDITIONAL lanes out of the CPU would be a god send and put this tech in the hands of everyone with no more slow or broken implementations. I don't believe it related to size or cost, it is available on notebooks. I just believe that desktops line have mature enough to have it. I know others will not like that but it time is coming, once there were parallel and serial ports on PC. Ethernet is loosing ground and audio poets. To me the ideal environment is laptop/tablet hook up to docking station to provide extra storage and processing/video power when you need it. But allow flexibility and mobility when you need it.